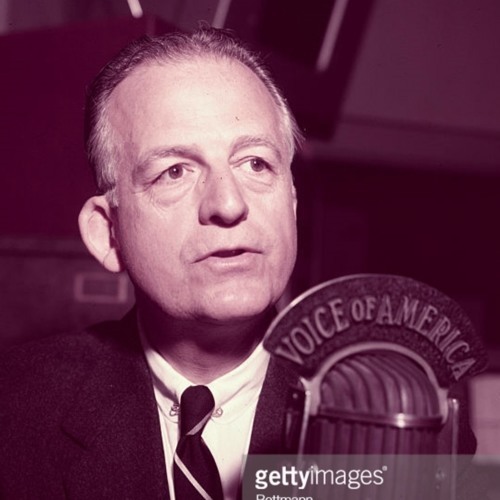 Radio legend and Chief Engineer Jack Poppele (02.04.1898 - 10.07.1986)recalls his part in the launch of WOR on 2.22.1922 during an interview he gave in 1970. WOR took to the air from Bamberger’s department store in Newark, NJ on February 22nd, 1922. The station cost $20,000 to start. It transmitted at 250 watts, and was the nation's sixth licensed radio station. The transmitter had been assembled in Bambergers by a salesman in the radio department whose specialty was selling crystal sets. When it failed to work, an experienced radio engineer from the Weston Instrument Corp. on Frelinghuysen Avenue, W. Nelson Goodwin, Jr., was called in to help. Goodwin redesigned and rebuilt the transmitter, and got it into working order, enabling WOR to come on the air. The WOR call sign was reissued from the U.S. maritime radio service. The station initially operated limited hours, sharing time with two other stations, WDT and WJY, which also operated on 833 kc. WOR changed frequency to 740 kc. in June 1923 and shared time with WJY until July 1926, when WJY signed off for good and WOR received full use of the frequency. In December 1924, WOR acquired a studio in Manhattan. On June 17, 1927, as a result of General Order 40, WOR moved to 710 kc., the channel it has occupied ever since. Hear more about the launch of network radio in Breaking Walls EP76 Over There—The War for Radio’s Airwaves (1912 - 1922), coming on March 1, 2018, on itunes and everywhere you get your podcasts.